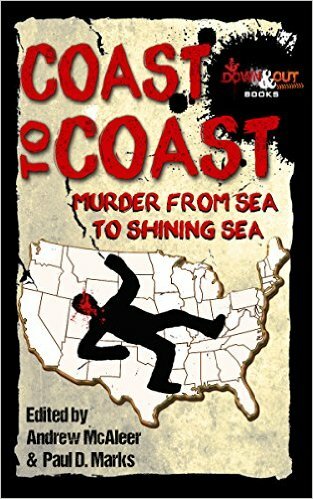 Crime is everywhere in the new anthology Coast to Coast: Murder from Sea to Shining Sea (Down & Out Books, 2015), co-edited by Boston College alumnus Andrew McAleer and Paul D. Marks. McAleer also has contributed to the volume. A Sherlock Holmes Bowl winner, McAleer is the author of 101 Habits of Highly Successful Novelists, A Miscellany of Murder, Double Endorsement and Fatal Deeds. He is past president of the Boston Authors Club and teaches in the Woods College of Advancing Studies. Read a 2013 Boston College Chronicle story about McAleer. This entry was posted in Alumni Authors, Boston College Authors and tagged crime, fiction, Woods College of Advancing Studies. Bookmark the permalink.